Toronto will be looking to build on a thrilling 4-0 win over New York City when they welcome Chicago Fire at their BMO Field on Saturday evening. The Reds made a flying start to the season and they aim to keep their 100% record intact. A man to watch in the home team will be former Real Betis attacker Pozuelo, who impressed in the triumph over Domenec Torrent’s troops. Chicago Fire, on the other hand, desperately needed a win against New York Red Bulls and they managed to get one. However, seeing that Veljko Paunovic’s men are not regarded as good travelers, we believe that there is a big value in betting on the in-form hosts. 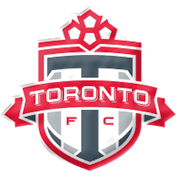 In previous two meetings between the two teams Toronto emerged triumphant, which is yet another reason why we are tempted to put our money on Greg Vanney’s charges. Alex Bono is an American footballer who plays for Toronto FC as a goalkeeper. Born in Syracuse, New York on April 25, 1994, Bono started his career at Reading United. After making 18 appearances for the club, the 24-year-old shot-stopper moved to Toronto FC in 2015 and he has been playing for the Reds ever since. In 2017 Alex Bono won the MLS cup as Toronto defeated Seattle Sounders 2-0 in the title game. The 191-cm-tall goalkeeper won the Canadian Championship on three occasions (2016, 2017, 2018) and it has to be noted that he clinched fourth place in the 2017 MLS Goalkeeper of the Year Award. Speaking of his international career, Alex Bono was called into a training camp for the USA men’s national soccer team in January, 2015. He made his senior debut on May 28, 2018 against Bolivia, keeping a clean-sheet in the 3-0 victory over the South American side. Based in the suburb of Bridgeview, Illinois, Chicago Fire is a professional soccer club who compete in Major League Soccer. 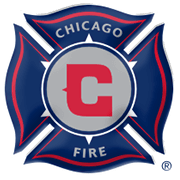 Chicago Fire were founded on October 8, 1997 and one year later they won the MLS Cup by beating D.C. United (2-0) in the title game. The club play their home games at Toyota Park, the venue that was opened on June 11, 2006. Chicago Fire won four U.S. Open Cups (1998, 2000, 2003 and 2006) and in 2009 they were beaten by UANL Tigres in the North American Superliga final. The likes of Chris Armas, DeMarcus Beasley, Brian McBride, Eric Wynalda and Frank Klopas are some of the notable footballers who played for Chicago Fire in the past. It has to be noted that a number of veterans were part of the club as well: Cuauhtemoc Blanco, Pavel Pardo, Piotr Nowak, Hristo Stoichkov and Lubos Kubik. The club’s official colors are red and white and they are nicknamed Men in Red. Veljko Paunovic, who won the 2015 FIFA U-20 World Cup with Serbia, is one of the club’s most famous coaches.